The last three weeks have been kinda crazy. The short version is that our condo is sold, and we bought a house last week! It’s near downtown Fullerton, and the neighborhood is amazing. A bunch of our friends live close by (including some that are next door! ), and we can walk to all the restaurants and shops. We are SO excited about living in that area. The house needs a lot (and I mean, a LOT) of work, but we’re actually really looking forward to the process of working hard and making the place our own. Over the last year, the possibility of buying a house came up at various times. 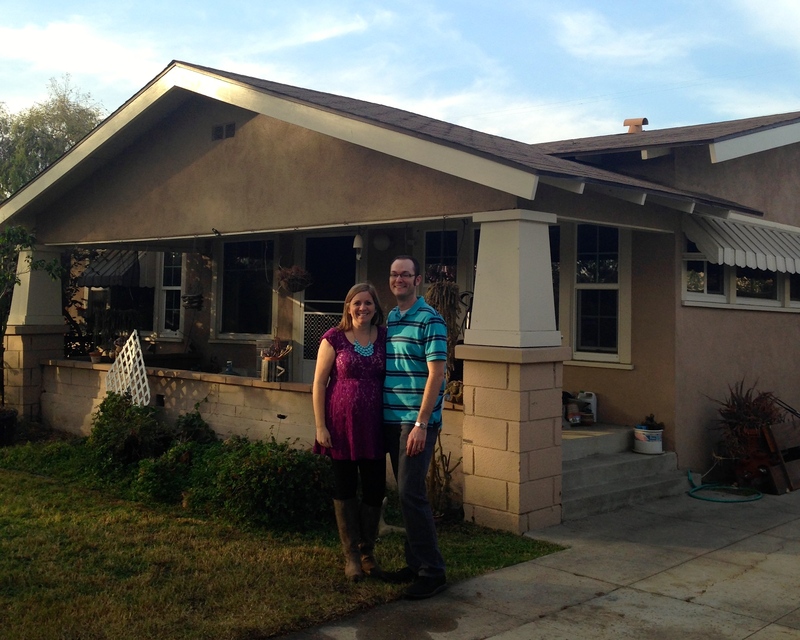 Our parents would bring it up now and then because they graciously wanted to help us with a down payment. And I happen to LOVE watching House Hunters on HGTV. Makes a girl start to daydream a bit. However, whenever Trav and I would talk about it and look at our finances, the timing just didn’t seem right. Our income changed significantly when I stopped working full time, and we knew we needed to wait and figure a few things out first. As we waited, I was learning an invaluable lesson about how to be married to Travis Austin. Based on my two and a half years of knowing him, I had come to realize that he was the kind of man that was going to go from not wanting to talk about houses at all to waking up one day and saying, “Hey babe, let’s go buy a house today.” I don’t switch gears quite so quickly, so I continued watching house shows, pinning pretty places, and thinking about what I wanted in a house and where some good locations would be for us. I needed to be ready when Trav’s house switch was flipped. On New Year’s Day, we were hanging out at my parents’ house and I happened to glance over at Trav’s iPad. I noticed that he had a real estate app open. On the inside, I gasped and thought it was a very good sign. On the outside, I casually said, “Oh, hey. What’cha looking at?” That led to Trav suggesting we check out some open houses the following weekend. Again, I stayed calm on the outside while completely freaking out on the inside. 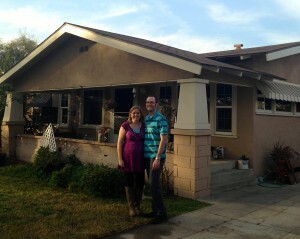 Saturday, January 4th, we went to a few open houses. Trav kept saying we were just taking a look and I just kept staying calm. The last house we saw was in Placentia and although we liked the area, the house didn’t seem super promising at first glance. But then as we walked around we began to really love the idea of living there. It needed some cosmetic work and we were throwing ideas all over the place for how we could fix it up. And suddenly I found myself with a husband who was very ready to buy a house. Yes! I’ll fast forward a bit…the next day we had our parents come check it out, we put an offer on the house the day after that, and then… the following week we found out that our offer probably wouldn’t get accepted because of some details involving the house’s short sale status. We were bummed, but it didn’t stop our house hunting momentum. We kept looking online, talking with our realtor, and taking tours of houses. Plus, we worked our tushies off to get the condo ready to be listed and hopefully sold asap so our finances would be good to go if we found the right property for us. And then Paul (our seriously awesome realtor) called us last Monday, January 20th, with some news that led to a crazy week and a cute house. Stay tuned for Part 2. This all sounds very grown up. Congratulations. Now you can go all Martha Stewart on the place!